Club of the Year - awarded to a radio club which has made a significant contribution to the advancement of amateur radio. Nominations must be received by February 1. Additional details and nomination forms are available on the Dayton Hamvention® Website at: http://hamvention.org/event-details/awards/. or mailed to Dayton Hamvention Awards, PO Box 1446, Dayton, OH 45401-1446. The 2016 Dayton Hamvention will be held on May 20-22 at Hara Arena in Dayton, Ohio. 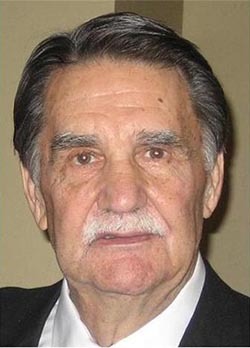 Ham Radio Outlet founder Bob Ferrero, W6RJ, became a Silent Key in early December at age 78. A Navy veteran and former California Highway Patrol officer, Bob (then K6AHV) acquired the (only) HRO store in Burlingame, California in 1971. Over the succeeding decades, he turned the company into the world's largest ham radio retail chain, with 14 stores across the United States. An active DXer and DXpeditioner, Bob was inducted into the CQ DX Hall of Fame in 1997 and the CQ Amateur Radio Hall of Fame in 2005. He received special recognition from CQ at the 2009 International DX Convention in Visalia, California, for his many contributions to the amateur radio hobby. Polish DXer Dom Gryzb, 3Z9DX, made a surprise on-air demonstration of amateur radio for officials in North Korea in mid-December and was planning to return to the air for a full-scale DXpedition this month. North Korea (P5) is at the top of every DX "most-wanted" list. According to the ARRL, Dom appeared unannounced on 20, 15 and 10 meters on December 20 and 21 as P5/3Z9DX, the first time an amateur station had been on the air from North Korea since 4L4FN's operation in 2001-02. The brief operation in December was a demonstration for government officials and coincided with a solar flare that heavily degraded HF propagation. Only a few hundred stations were worked, mostly in Asia. New Mexico Representative Steve Pearce is now the third Member of Congress with a ham radio license, joining Rep. Greg Walden, W7EQI, of Oregon, and Rep. Daniel Benishek, KB8TOW, of Michigan. Pearce, now KG5KIQ, passed his license exam at a test session arranged by ARRL New Mexico Section Manager Ed James, KA8JMW. According to the ARRL Letter, Pearce had met previously with James and Rocky Mountain Division Director Brian Mileshosky, N5ZGT, to discuss ham radio. In mid-November, an aide asked James if he could help arrange a Technician exam for the congressman. He passed and his license was issued on November 18. A police officer and ham radio operator serving as an embassy guard at the Spanish embassy in Kabul, Afghanistan, was among seven members of the diplomatic staff killed in a gun battle with bombers believed to be Taliban fighters. According to the ARRL Letter, Isidro Gabino "Gabi" San Martin Hernandez, EB1BT, was working as part of the embassy security team on December 11 when a car bomb exploded at the compound's guest house gate. The bombers then entered the embassy grounds and a 9-hour battle with security officers ensued. 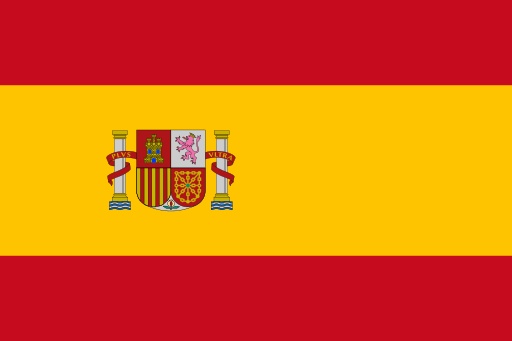 San Martin and another police officer were among the seven Spanish casualties. Authorities said all of the attackers were killed by Afghan Police Special Forces. In addition to creating a worldwide amateur radio allocation on 60 meters (see last month's news), the 2015 World Radiocommunication Conference (WRC-15) specifically excluded amateur radio frequencies on the 2-meter and 70-centimeter bands from consideration at the next conference for expanded spectrum for short-duration, low-orbit non-amateur satellites. According to the AMSAT News Service, the only frequencies that will be under consideration for non-amateur satellite use at WRC-19 will be 150.05-174 MHz and 400.15-420 MHz. It was specifically noted that some satellites have used amateur frequencies for telemetry, tracking and command, and that "such use is not in accordance" the ITU regulations defining the amateur radio and amateur satellite services. UK Begins Revoking Ham Licenses That Have Not Been "Revalidated"
The British telecommunications regulatory agency, Ofcom, has begun the process of revoking amateur licenses that have not been "revalidated" under a recent change in rules that accompanied a 2006 switch from annual license renewals to lifetime licenses. According to the ARRL Letter, over 500 licenses were revoked in the first batch in early December. There is an appeals process, but the Letter reports that Ofcom says none of the first 500 has appealed so far. It is uncertain how many UK amateur licenses will be cancelled for failure to revalidate. 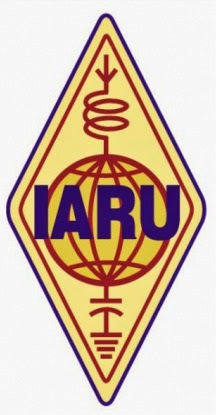 SHRAK, the national amateur radio association of Kosovo, has been accepted into membership in the International Amateur Radio Union (IARU). It was the second time a vote was taken on SHRAK's application. The first time, it lost narrowly and two affirmative votes arrived after the ballot deadline, according to the ARRL Letter, resulting in a request for a re-vote by IARU Region 1, which includes Europe and Africa. The ARRL says SHRAK's admission to IARU membership has no effect on its continuing refusal to recognize Kosovo as a DXCC "entity" separate from Serbia, from which it broke away. A two-day emergency exercise including both the Military Auxiliary Radio System (MARS) and the ARRL's Amateur Radio Emergency Service (ARES) is being termed a success, the ARRL Letter reports, especially with regard to cooperation between the two groups. The exercise in early November was built around a scenario of a massive solar flare disrupting communication systems across the United States. MARS stations were asked to make contact with amateur stations in as many US counties as possible. In all, according to Army MARS Program Manager Paul English, WD8DBY, contact was made with 26% of all counties by MARS members using primarily NVIS (near-vertical incidence skywave) on HF as well as VHF and UHF repeaters. The purpose of the exercise, English said, was to exchange usable information from the local level to the national level in a crisis, adding that success is possible "only through … cooperation among MARS and the larger amateur radio community." The first amateur radio contacts from the International Space Station (ISS) were made in late 2000, the beginning of a continuous amateur radio presence on the station. A special event to mark the anniversary - a planned slow-scan TV transmission from orbit - was postponed at the last minute, according to the ARRL, due to "complications in planning." At press time in late December, the event had been tentatively rescheduled for mid-January. The Yasme Foundation announced a dozen grants in late December to support a variety of amateur radio activities, both on and off the air. According to the ARRL, recipients include ARISS, the Amateur Radio on the International Space Station program; the ARRL Teachers Institute; the Reverse Beacon Network; scholarships through the ARRL Foundation and the Foundation for Amateur Radio; the Youngsters on the Air program in Europe, the Northern California DX Foundation's beacon project; the Haiti Amateur Radio Club; 4U1ITU, the amateur station at the International Telecommunication Union headquarters in Genva, Switzerland; the 2018 World Radiosport Team Championship (WRTC); Ethiopian Amateur Radio Society club station ET3AA; the World Wide Radio Operators Foundation and Dokufunk, the Research and Documentation Center for the History of Radio Communications and the Electronic Media in Vienna, Austria. The amounts of the individual grants were not disclosed. The FCC has proposed fining a California ham $25,000 for alleged intentional interference to a net on 75 meters this past August. But the FCC's history with William Crowell, W6WBJ (ex-N6AYJ) goes back 15 years and his 2007 license renewal application was put on hold and then designated for hearing in 2008. To the best of our knowledge, no hearing has been held and Crowell's 2007 renewal application is still listed as "pending." 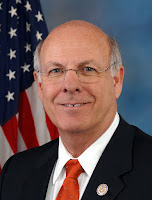 In the current case, the Commission responded to complaints that Crowell was deliberately interfering with the Western Amateur Radio Friendship Association net on 3908 kHz on multiple occasions in August 2015. Agents reportedly tracked the source of interfering transmissions to Crowell's station in Diamond Springs, California, and noted that the transmissions included music as well as "racial, ethnic, and sexual slurs and epithets." It proposed fining him $25,000. Curiously, the Notice of Apparent Liability makes only a single reference in a footnote to the fact that Crowell's license renewal application was designated for hearing seven years ago. Reasons for that designation included allegations of intentional interference, transmitting music, indecent language and one-way communications on amateur frequencies. When a renewal application is listed as pending, the licensee may continue to operate even though his/her license has technically expired. There is no indication in any publicly-available FCC documents as to why the hearing process is dragging on nearly through the entire term of the license renewal that the Commission has thus far denied.